JESUS BY HIMSELF PURGED OUR SINS The introductory verses of Hebrews 1 are some of the most majestic and breathtaking descriptions of the beauty and glory of The Lord Jesus Christ. The Lord Jesus Christ is the final word of God to mankind. All previous prophets and manners of revelation pointed to Him. The Father has appointed Him to be the heir of all things. By Him, everything in creation came into existence. Jesus is the brightness of God’s glory and the express image of Him in bodily form. Mystery of all mysteries is that this perfect, sinless, Son of God became a sacrificial lamb to atone for the sin of the world. Atonement is God’s work, not man’s. Only God can take away our sin. Only God can forgive men of their sin. 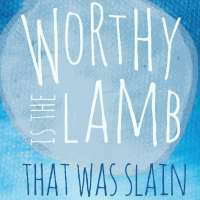 Jesus Christ, the final and perfect Lamb of God by Himself purged our sins. By Himself, Jesus purged our sins. Jesus is our salvation. Jesus is our righteousness. Jesus is the only answer for our sin debt. Jesus and Jesus alone is the only means of grace and access to The Father. Looking unto Jesus saves us. Looking unto Jesus sanctifies us. The elements of the bread and the cup remind us of a simple, but profound truth. Jesus Himself has purged our sins. Because He has paid the price for our sin, He is seated at the right hand of God, and we, by grace through faith, are seated in Him. What an exciting scene we have before us today for our Lord’s Day, Lord’s Supper bible study!